“The natural beauty of the flute evokes very powerful emotions. The traditional flute is social, not ceremonial, in nature and should always be treated with that in mind and spirit. My musical journey began when I was young. Drums were a regular part of our lives. In the summer were the war dances, now called powwows. As kids, we would imitate the drummers on my mother’s galvanized washtub. In 1992, Fire Crow recorded the album, The Mist. Two years later, in 1994, he released a second self-produced recording, Rising Bird. These recordings were sold only at concerts. Fire Crow’s follow-up, Cheyenne Nation, combined a soulful mixture of traditional flute and contemporary instrumentation to earn a GRAMMY TM nomination at the 43rd Annual Awards. In November of 2003, Fire Crow’s Legend of the Warrior received recognition for both the Native American Music Award for “Songwriter of the Year,” as well as the Indian Summer Music Awards flute category winner. Fire Crow’s collaborative effort with Jim Cockey lead to the composition of “Parmly’s Dream,” from the CD Signature. This release won FireCrow the “Best Instrumental Recording” Award at the 7th Annual Native American Music Awards. 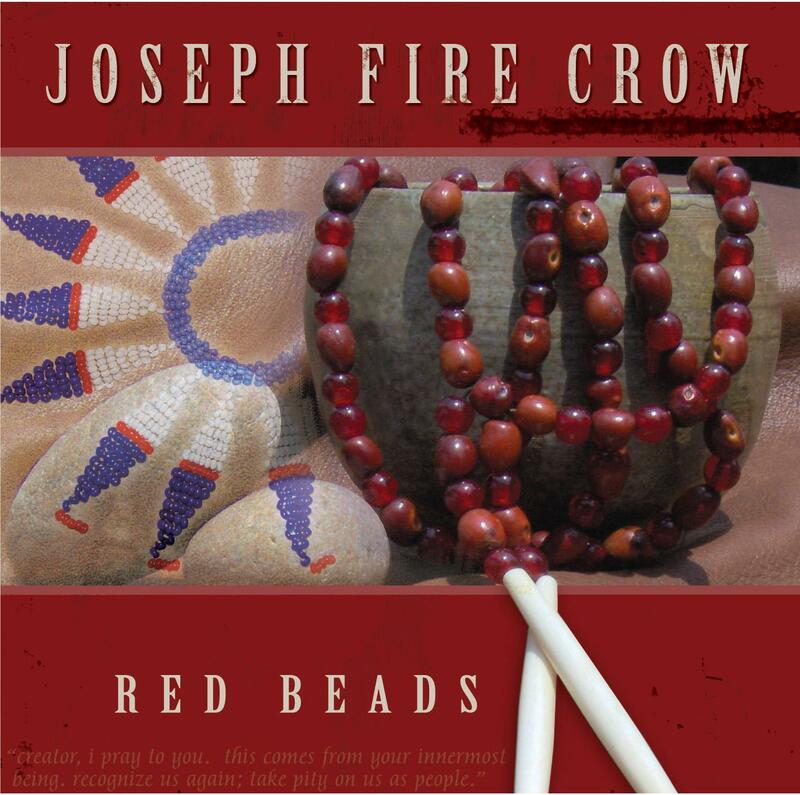 Fire Crow’s latest effort, Red Beads, was released in late August of 2005. Red Beads comes full circle with a return to the traditional. This recording includes Fire Crow’s mother, Elva Stands In Timber. Joseph was honored to have her join him. This release won FireCrow the “Flutist of the Year” Award at the 8th Annual Native American Music Awards. In 1995 Fire Crow’s songs, “Creator’s Prayer” and “Wind in My Mind” were selected to open and close the best selling album Tribal Winds: Music from Native American Flutes on the Earthbeat label. Ken Burns also chose some of Fire Crow’s music to be included on the soundtrack for his documentary “Lewis and Clark: The Journey of the Corps of Discovery.” In addition, Fire Crow is a major contributor to several European releases, including Shaman, Circles of Life and Medicine Power on the German label, Sattva. Fire Crow’s music was featured on Public Broadcasting Service’s The War that Made America film. In September 2009, PBS aired Ken Burns documentary “The National Parks: America’s Best Idea” which also features FireCrow’s music. Fire Crow was also a guest artist on Peter Kater’s 2007 album, Faces of the Sun, which earned a GRAMMY nomination for Best New Age Music Album at the 50th Annual Awards. 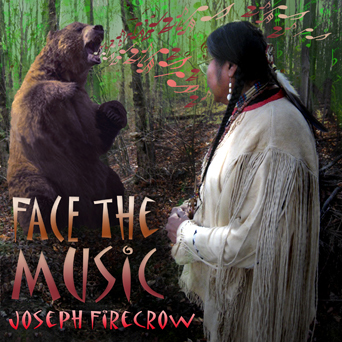 Face the Music , FireCrow’s latest release, brings the traditional together with modern stylings for a must have collection of contemporary Native American Music! Most recently, FireCrow was featured on Prayer for Compassion with David Darling, which WON a GRAMMY in the New Age Category on January 31, 2010!! To purchase Joseph FireCrow’s music or for more information, please click here! Most recently, FireCrow’s music was featured on Public Broadcasting Service’s The War that Made America film. FireCrow was also a guest artist on Peter Kater’s 2007 album, Faces of the Sun, which earned a GRAMMY nomination for Best New Age Music Album at the 50th Annual Awards.